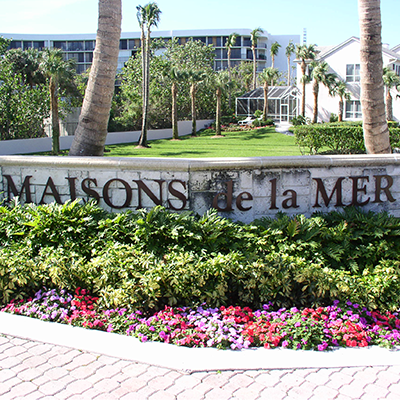 Maisons De La Mar is a small gated beachfront community in Jupiter, FL overlooking the cerulean waters of the Atlantic Ocean. It is mainly comprised of just 10 2-story, single family houses, featuring individual gates, fences built with brick stones, private swimming pools and huge lawns. This lovely community is conveniently located amidst Jupiter Ocean Racquet Club and the Ocean Walk Condominiums and are just a few minutes away from everything Jupiter has in store for its residents. Golf, sandy beaches, an array of dining and shopping are just a few minutes away.